A Rose Is Still A Rose sheet music arrangements are below. 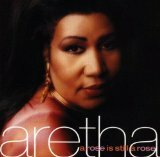 Aretha Franklin, Edie Brickell, John Bush, John Houser, Kenneth Withrow, Lauryn Hill is the composer of A Rose Is Still A Rose. In order to see a one page preview of A Rose Is Still A Rose, please click on the preview button for the arrangement that you would like to view. Once you have viewed the score, close the pop-up window, and you can choose to view a different arrangement for A Rose Is Still A Rose in order to make a better purchasing decision. By clicking on the drop-down menu called "All Instruments" you can adjust to only view the arrangements for one specific instrument. Is there a sheet music arrangement that you particularly liked? Then why not post your customer review by clicking on the Comments tab. Simply choose a handle (screen name), and you may post your thoughts on our music. Would you like to share this composition on your Facebook wall or Twitter page? Then all you need to do is click on the share button, and choose the social media application that you would like to use to share this songpage. Our songs are usually available for a number of different instruments. We also usually offer a variety of arrangements, to give you a better musical choice. In the case of A Rose Is Still A Rose we have 1 arrangement for 4 instruments.